Welcome Back Noah John & Ringing Iron! 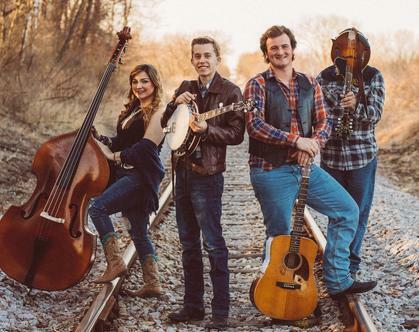 They are a band based in southeastern Wisconsin playing traditional bluegrass and gospel music as well as country, americana, and folk. They blend banjo, mandolin, upright bass, steady rhythm guitar and tight harmonies to create a new, unique sound.